Designed by De Natris Skurrie, it perfectly illustrates the elegance of the free standing bath as centre piece, with Haven – our signature design – seamlessly complimenting this pared down sophistication. Extending the pitch perfect harmonious balance is the strategic placement of ebonised brass hardware in the form of twin towel rails and sleek freestanding spout, subtly off set by the soft white and pale grey colour palette. 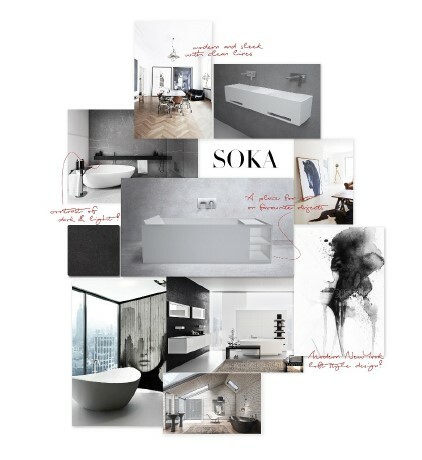 A re-imagination of our SOKA bath, our newest collection will reveal a fresh new look for this apaiser original. Illustrated here is a ‘sneak peek’ montage of what’s soon to be unveiled globally! SOKA celebrates the contemporary ritual of bathing…taking this otherwise utilitarian ablution and transforming it into an altogether more meditative experience…just as the Japanese have done so artfully for centuries. The Jewel Residences – on the corner of Wharf and Old Burleigh Roads, Surfers Paradise – have selected apaiser to be appointed in the 500 apartments throughout. With construction having commenced last November 2017, The Jewel will also include a 171 room six star resort style hotel. Developed by the award winning Wanda Group, in association with Ridong Group, and under the design direction of DBI, it carries a bullish $970M AUS budget. Working in collaboration with our partner – Rogerseller, this impressive project features 364 Sublime baths and 1,255 made-to-measure Zen basins by apaiser. Now in its 9th year, Handmade is this leading global magazine’s ambitious annual design project featuring a ground-breaking exhibition dedicated to the marriage of craftsmanship and design, and celebrated via a special edition of the magazine in August. Acting as both patron and creative director, Wallpaper* cherry-picks a selection of the world’s finest artists, makers, manufacturers and craftspeople, all of whom are commissioned to create unique and one-off luxury items of furniture, fittings, fashion, even food stuffs. With an exhibition in Milan during Salone del Mobile, and premiere exhibition in Singapore next month, we are very excited to be a part of this amazing event in partnership with WOHAbeing. Welcome to the first in our series of regular Q & A’s…the inaugural being with top international designer, and co-founder of the leading firm WOHA Singapore…with whom we recently collaborated in the creation of the Sampan collection for apaiser. 1) What provides you inspiration as a designer? with something in daily life. Then I wonder if there’s a way we could solve a problem through the work that we do in a new and different way. 2) What are the driving principles behind your design ethos? 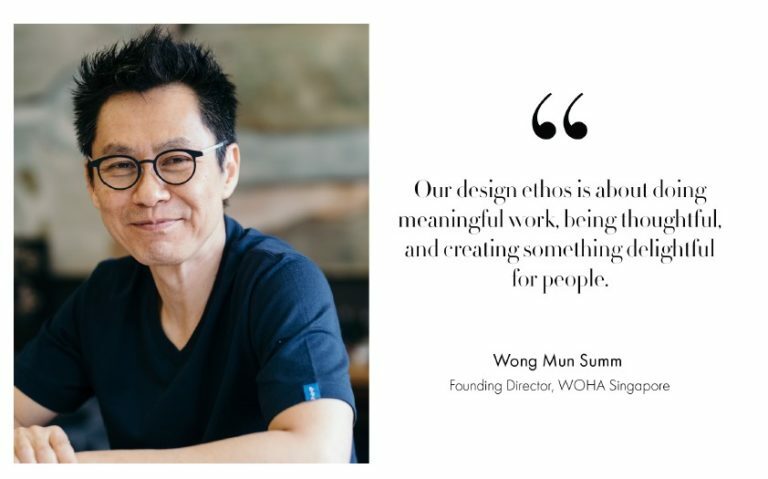 Mun Summ: Our design ethos is about doing meaningful work, being thoughtful, and creating something delightful for people. 3) What are your three critical priorities, when you approach a new project? purpose? The next thing would be: is there opportunity to create something beautiful? And, finally: will the project be accessible and practical? 4) Favorite travel destination and why? quirky and eccentric side of Japan… every time I’m there I get to experience something unexpected and memorable. Mun Summ: I really like the Centre Pompidou in Paris. like to sit down with and enjoy a meal? van der Rohe and Yves Saint Laurent.